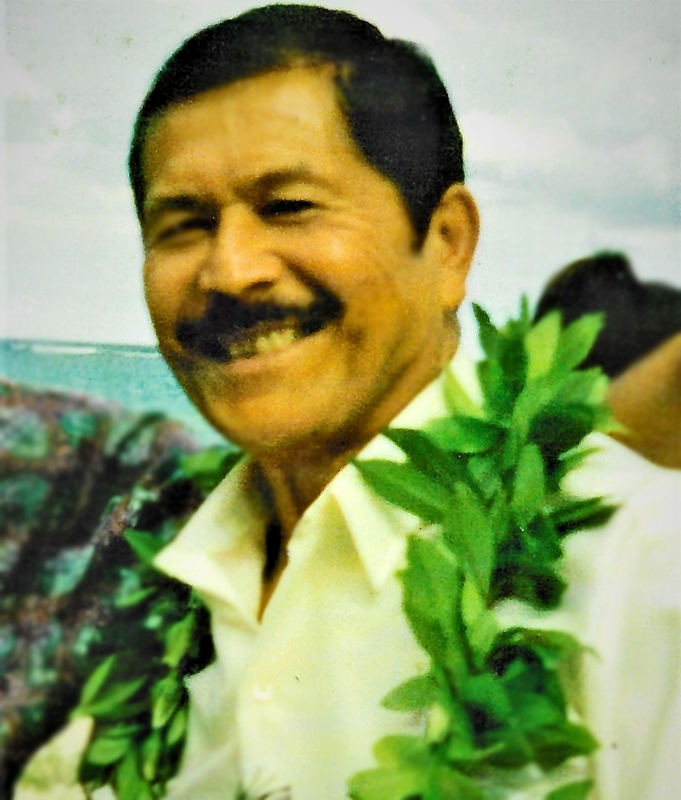 93 years of Hau'ula, born on Molokai, Wallace Leialoha Alcazar passed away in his wifes arms in the early morning hours of June 24, 2018. Mr Alcazar died after suffering a long illness from a cold, leading to sever infected throat complications. He married Diosdada Sanchez Adlawan aka Dee, Dolly, on February 20, 1993 in Lanikai, a beach wedding. He met his wife through his brother in law, Leonard Sanchez, and married after only 4 months of courtship. He enjoyed music very much and even more while hearing his wife sing. Loved Hawaiian music and always had a ukulele in hands. Enjoyed the ocean because of his love for fishing and is also the reason of owning many boats, loved family get-togethers, yardwork. Owned many tools as he loved to repair 'anything'. Mr. Alcazar retired from Civilian Service with the US Naval Submarine base at Pearl Harbor, after 29 years of dedicated federal service. He is survived by his wife, Diosdada Sanchez Alcazar of Hau'ula, daughters, Sally (Mike) Cervan-tes of Los Angeles, Doreen Alcazar of California and a son, Wallace L. Alcazar, of Virginia. He is also survived by his step-children, Benny (Trisha) Adlawan of Ka'u on the Big Island, Tanya (Pi'ikoi) of Kailua Kona, Debra Adlawan of Portland, Craig Adlawan of Hau'ula and Mark (Dar-lene) Adlawan of Oklahoma. He is also survived by numerous grandchildren, great-grand- children, nieces and nephews. Services to held at the Valley of the Temples Cathedral View Chapel on Monday, July 23, 2018. Visitation: 9:30am; Service: 10:30am. Light refreshments on site. Burial: 1pm at Valley of the Temples Memorial Park. All Funeral Services to be provided by Valley of the Temples.